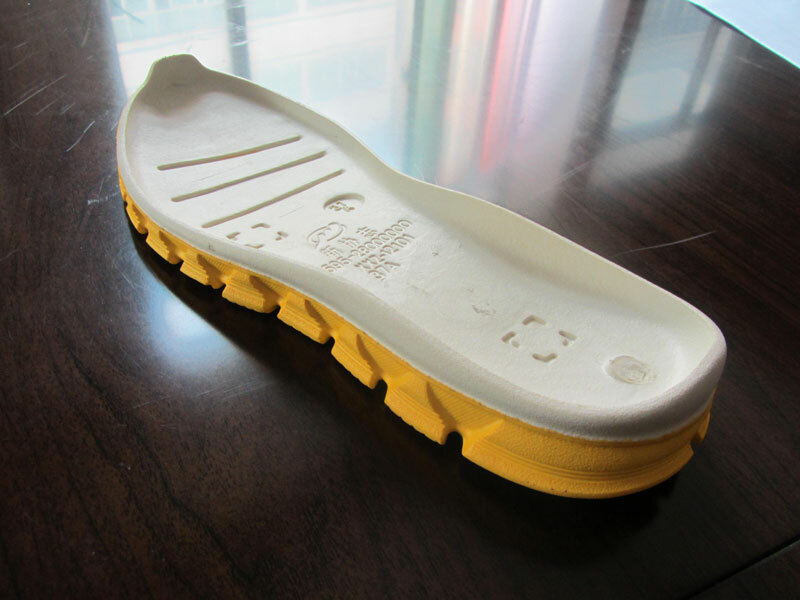 The EVA two-color sport shoe sole once injection mould is a latest technology in the world. 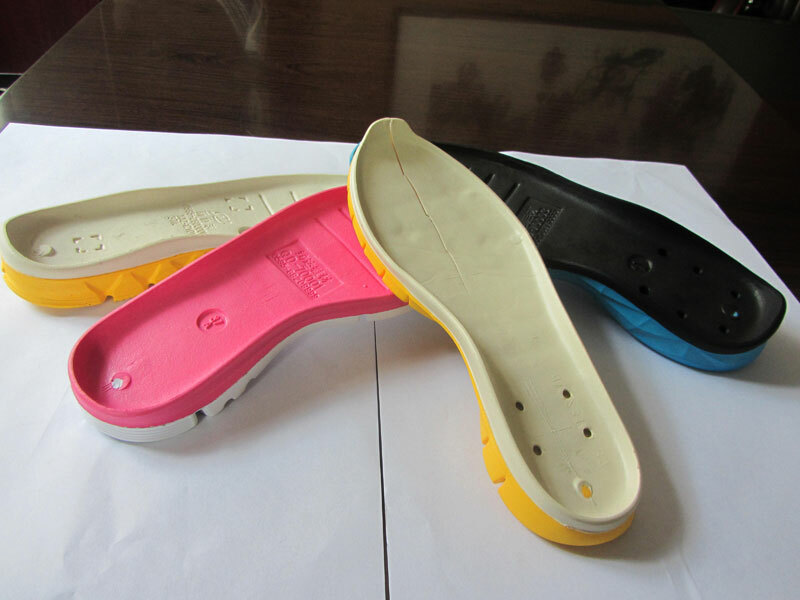 We have a team focusing on the development of EVA double-color once injection sole moulds. 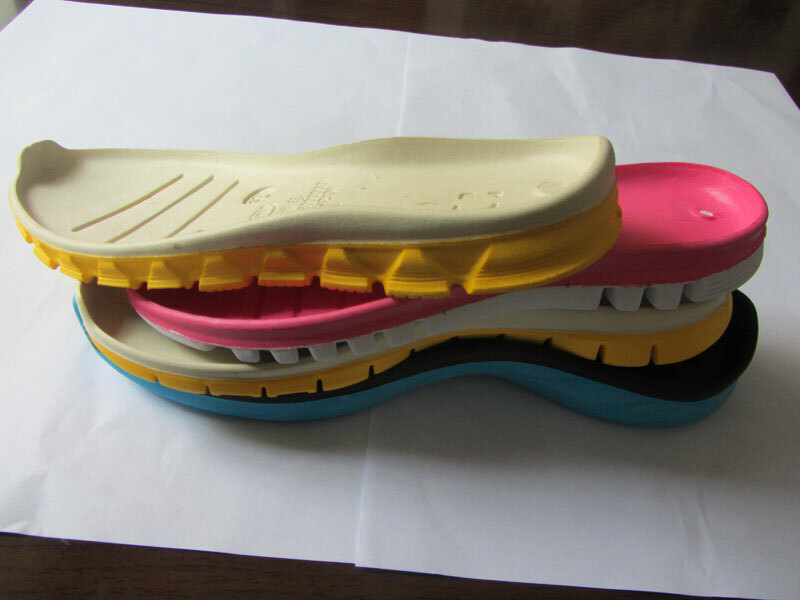 These molds of our factory can save cost in making two color insole and outsole. 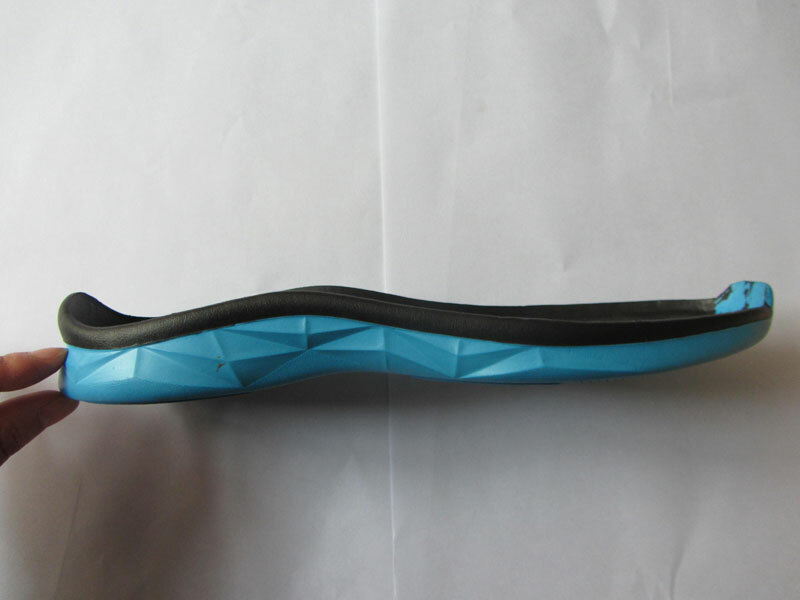 You can make more beautiful double-color sole one time and no need glue any more. 4. Fine end product quality and makes shoes light weight and gloss surface and high value. 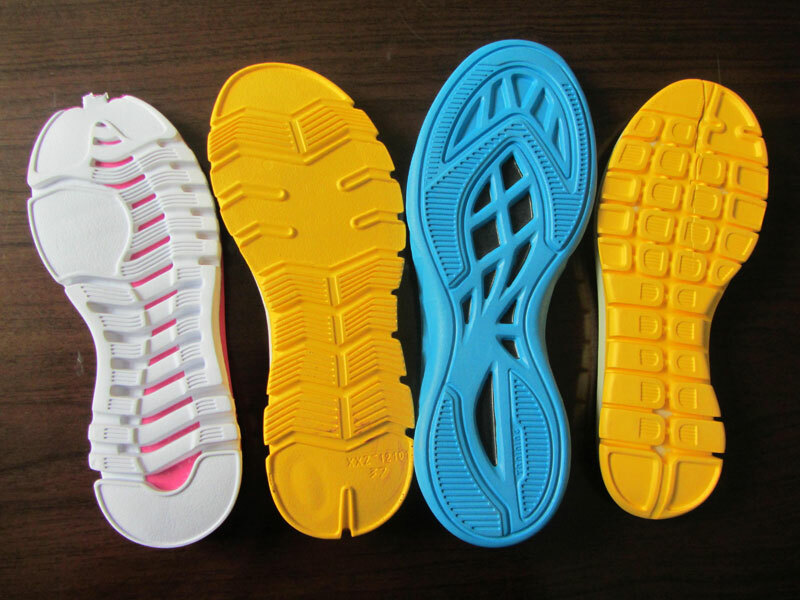 Machine: EVA two-color sport shoe sole once injection mould is compatible with EVA double-color injection molding machines from Taiwan, Italy, China-mainland, etc. 1. 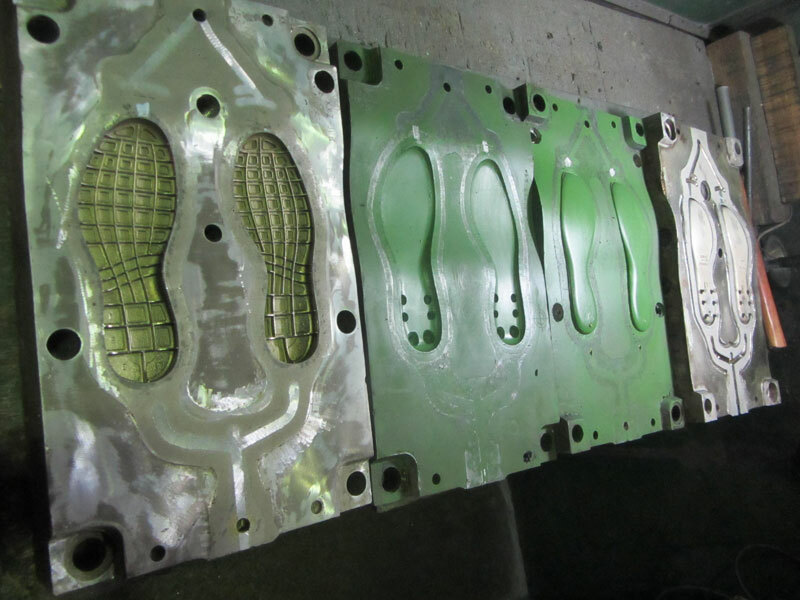 High performance production equipment ensures superior quality of final products. We have 45 CNC machines and 4 computer design rooms. 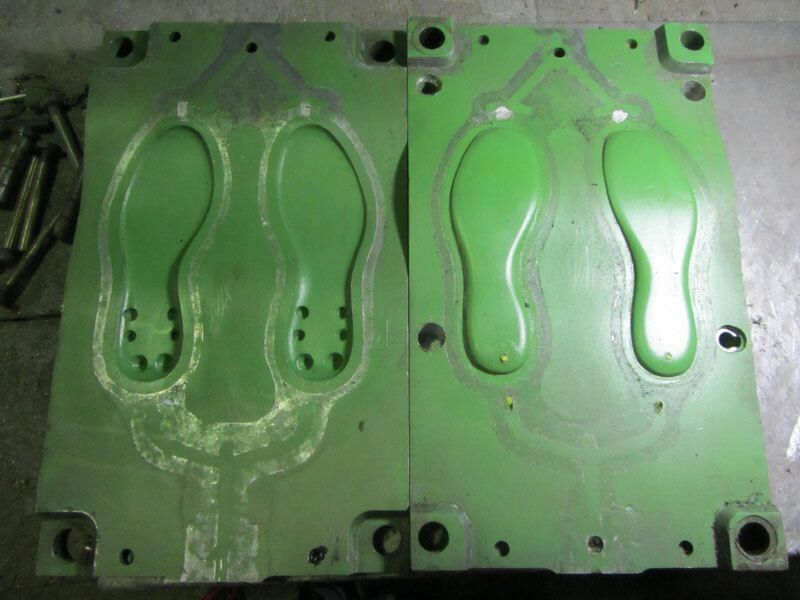 Also, we have three-dimensional scanner from German, colorized three-dimensional moldings machine from the USA, mould design software, testing machine, and more, which help make the high-technology moulds. 2. 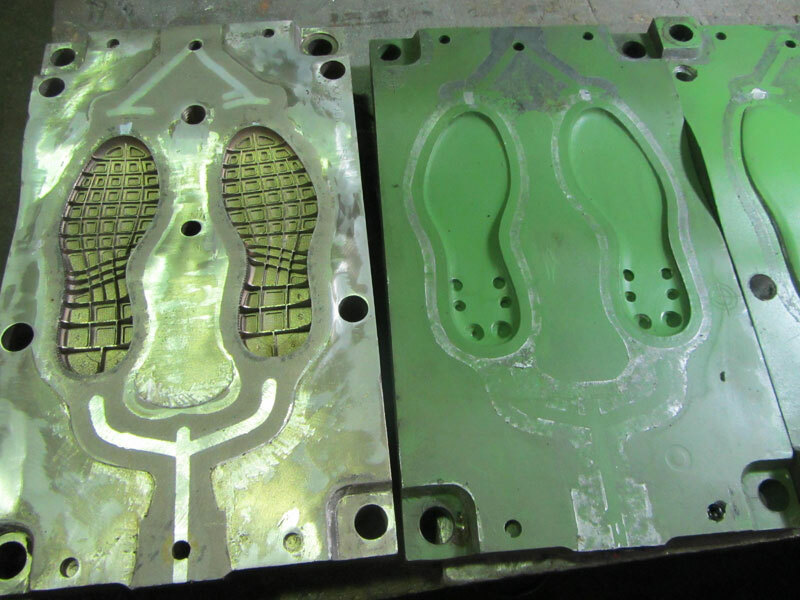 The mould material from carefully selected suppliers also help guarantee the product quality. 3. 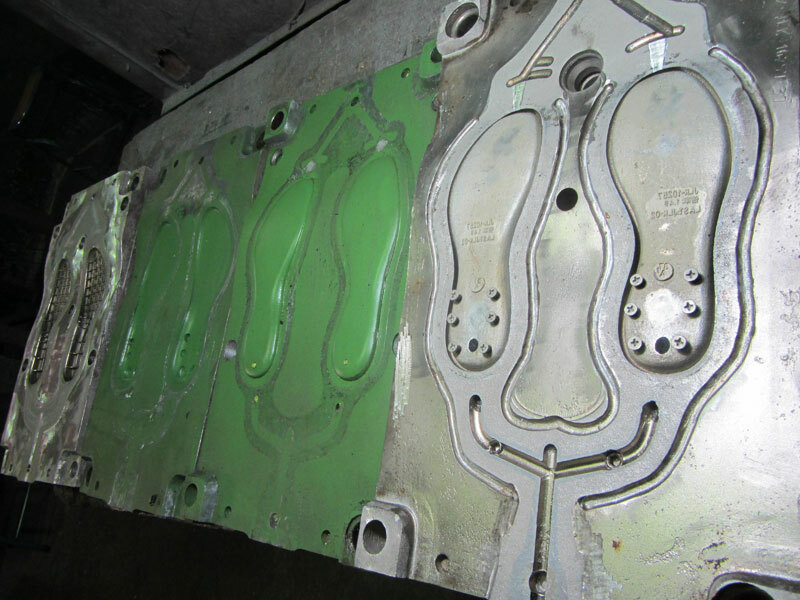 Over 700 workers allow us to make moulds uninterrupted in our workshop, thus ensuring timely delivery. Meanwhile, the comfortable working environment helps improve working efficiency. 4. 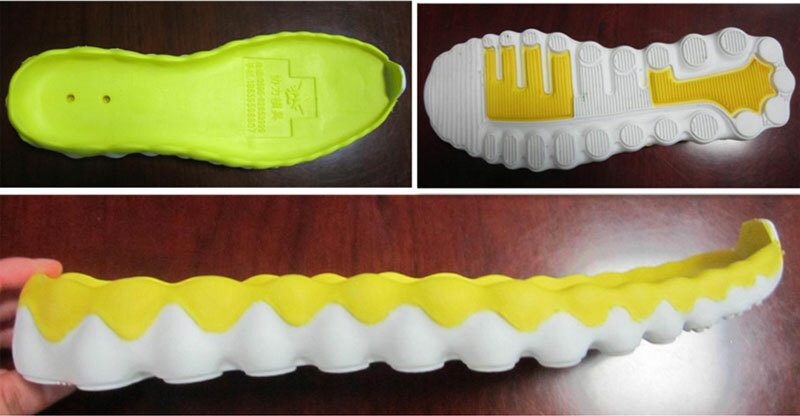 We have sample rooms to show clients the end products made using our EVA two-color sport shoe sole once injection mould, EVA shoe mould, and other types of molds. 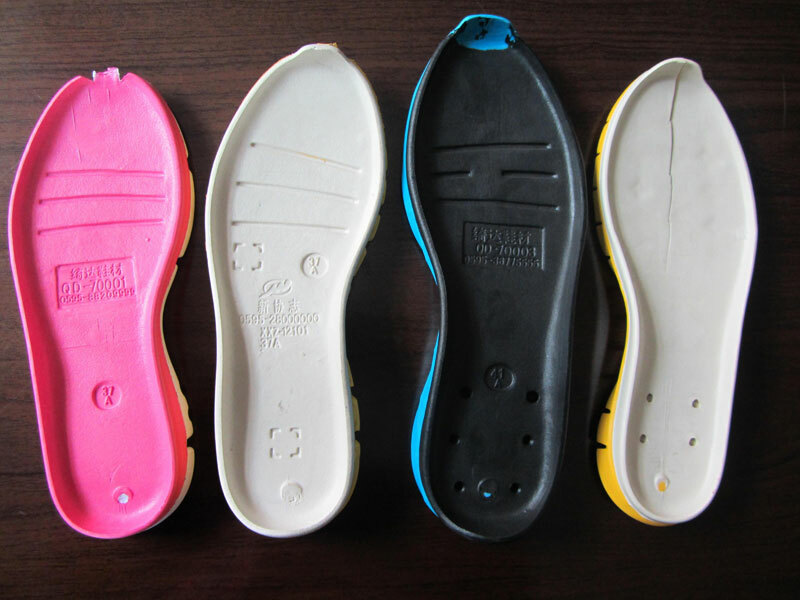 We also make constant efforts to develop new types of moulds to make new styles of shoes. Choose the company, select the rest assured. 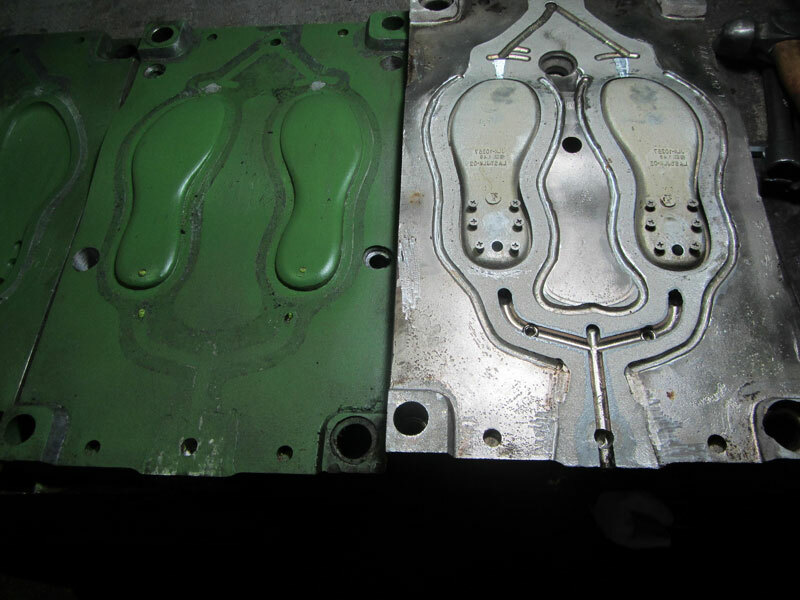 Firstly, Xieli manufactures injection molds based on scientific management system, and meanwhile strictly implements ISO9001:2000. 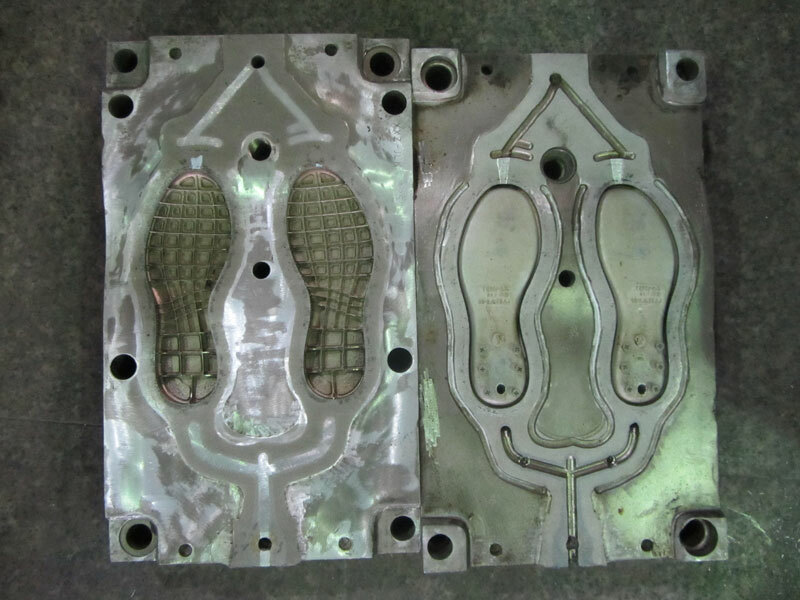 Secondly, Xieli is a largest shoe mould and shoe sole injection mould manufacturer in Jinjiang. 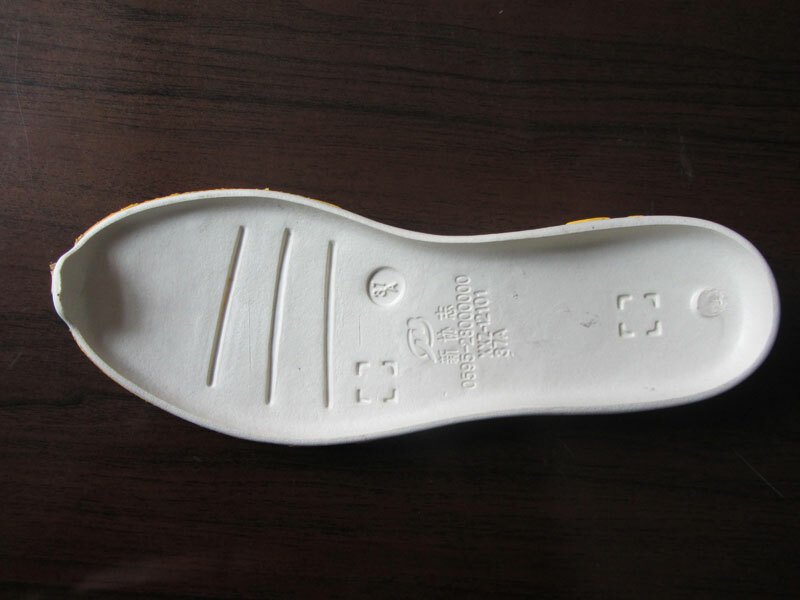 Over a decade experience teach us how to produce high quality products with economical prices. 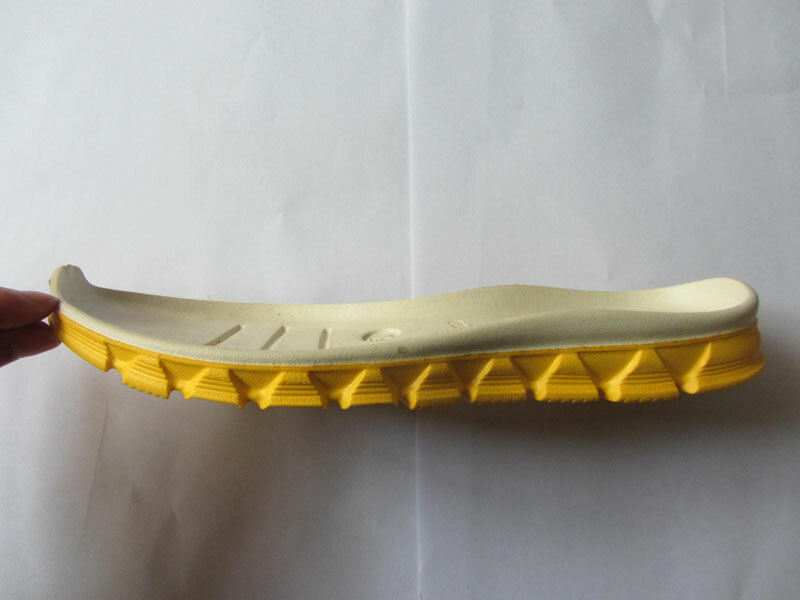 Thirdly, Xieli is the unique factory that adopt aluminum alloy to make shoe sole moulds in the industry. 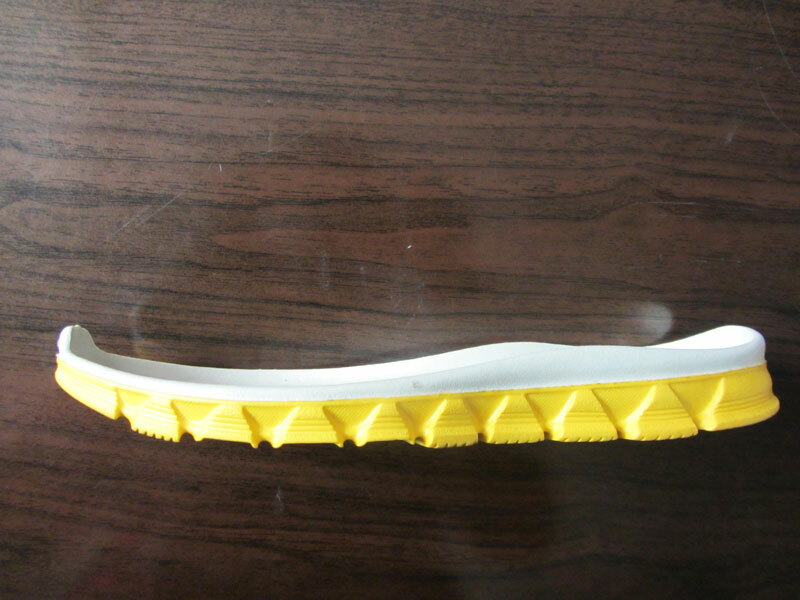 It utilizes four-axis processing and precise-engraving molding craft which has been substituting for foundry molding. The ERP resource management system originates by Xieli is the particular professional software in the industry. Fourthly, we at Xieli have advantageous location. 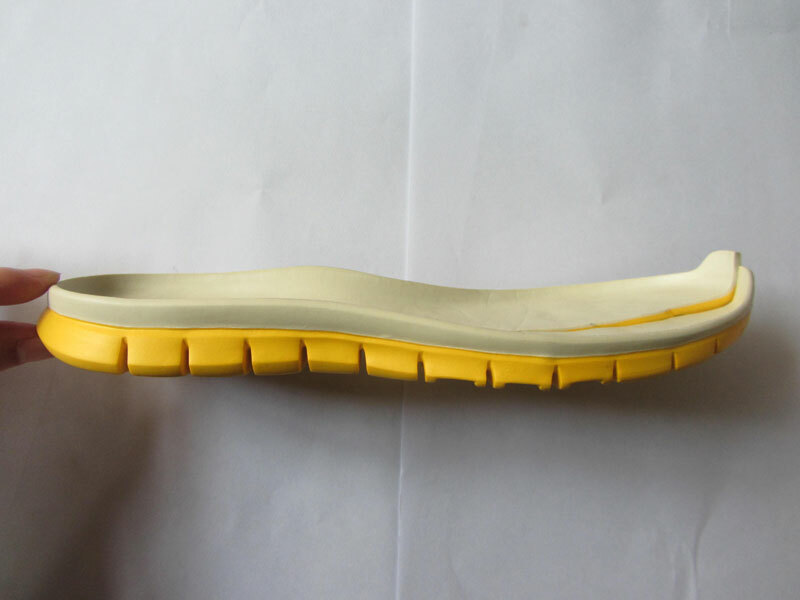 We are near to many shoe making machine, and shoe making material enterprises, and we have convenient transportation. To illustrate, we are only 20 minutes away from the train station, 7 minutes away from Jinjiang airport, and 40 minutes away from Xiamen. 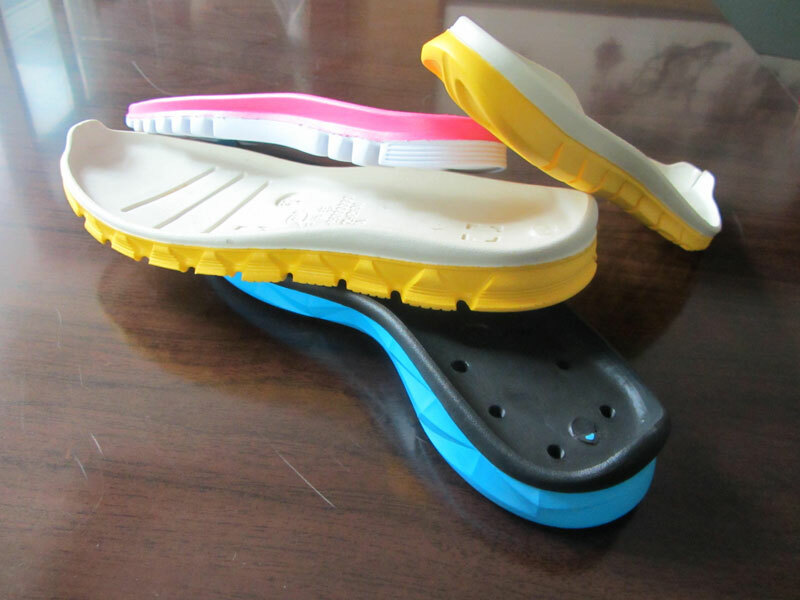 Around Xieli factory, there are also many hotels and restaurants, which provides the greatest convenience to our visitors.